The Okuhida Onsen-go is a hot spring haven with onsens sprinkled around five unique areas; Hirayu, Fukuji, Tochio, Shin-Hirayu and Shin-Hotaka. Footbaths, outdoor, indoor, public or private baths- there so many hot springs to choose from, all with their own unique features and water providing a range of supposed health benefits. Hirayu Onsen in Okuhida Onsen-go is the first area you’ll come into contact with when coming from Takayama. One of our favourites is Hirayu-no-Yu, a semi-outdoor onsen tucked behind a gassho style building, the Hirayu Minzoku-kan, which exhibits traditional artifacts found in the area and is home to a small cafe and free tatami resting area. The baths are gender separated, have no shower facilities and are semi-outdoors secluded by dark wooden huts that look very picturesque amidst the forest vegetation. The bus terminal at the centre of Hirayu is a main access point for many traveling to top sights in the area such as Shin-hotaka ropeway or Norikura Skyline. Around the corner from the bus stop is a free ashi-yu (footbath). It is open 24/7 and has a gorgeous waterfall trickling down the rocks making it one of the more beautiful footbaths in Okuhida. At Hirayu-no-Mori, a bath house that doubles up as a hotel, it is possible to reserve a private onsens for a more exclusive bathing experience. On the banks of the Kamata river is Shin-Hotaka-no-Yu, Okuhida Onsen-go's best kept secret. Most onsens have a small entrance fee that ranges from 500 to 2,000 yen, however there are also a few public onsens, like Shin-Hotaka-no-Yu, that are more rustic and just have a small donation box where visitors can leave donations. Tucked underneath a bridge, this hidden onsen is the size of a small swimming pool. 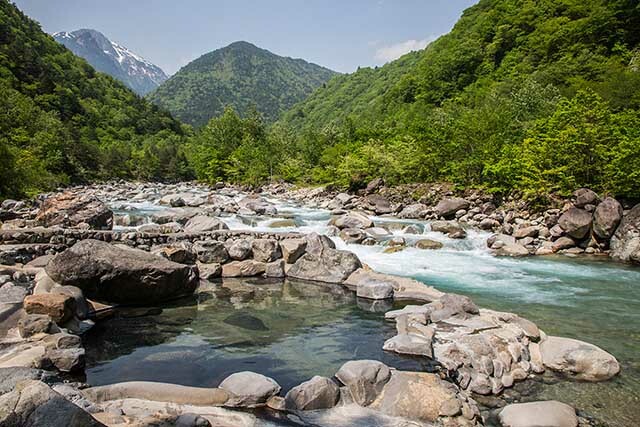 From the steaming waters of Shin-Hotaka-no-Yu, you can take in some amazing views of the mountains accompanied by the soothing sound of rushing water. At the base of Mount Yakedake is Fukuji, the smallest of the onsens in the area. This place is famous for the Fukuji morning market attracting many earlybird visitors eager to try the local produce and speciality goods like Hida-sansho seasoning (made with special Japanese pepper). The market is open on a daily basis from as early as 6:30 in the summer and is only a minute away from Fukuji bus stop. Each of the areas in the Okuhida onsengo district have their own unique characteristics, offering a variety of features from bathing swings to traditional round wooden baths with mountain views. Unlike most onsens and sentos in Japan, many of the public onsens do not feature showering facilities and do not necessarily follow the strict rules which can apply at hotels and ryokans with certain regulations, but it’s best to check with the staff before going for a dip. With such a wide selection of hot springs, we recommend the Yukuri Onsen pass; a bargain deal that includes access to any three participating hotels that operate as day spas. 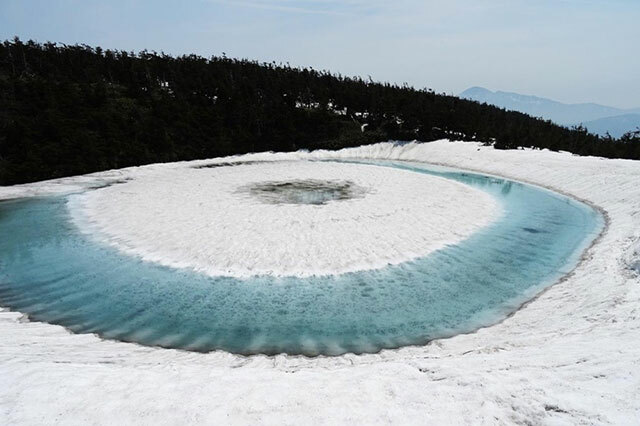 The pass can be purchased at most tourism associations in the northern Gifu region.